This DVD is also available as part of the Screening Room series Animation Collection. In addition to being a celebrated experimental animator, Jan Lenica (1928-2001) was a multi-talented artist known for his poetic and surreal graphic art in many forms. Whether working with film, posters, book illustrations, or designs for theater costumes or postage stamps, Lenica expressed very forcefully his satirical ideas, dark humor, and profound skepticism about life. He was an important pioneer of modern independent animation, as well as one of the leading Polish poster artists of the last century. He worked and taught in Poland, Paris, America, and Germany, earning international acclaim and numerous awards. 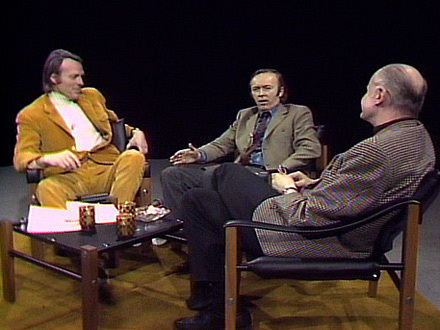 Jan Lenica appeared on Screening Room in April, 1973. He screened and discussed excerpts from his films Fantorro, Monsieur Tete, A and Labyrinth.